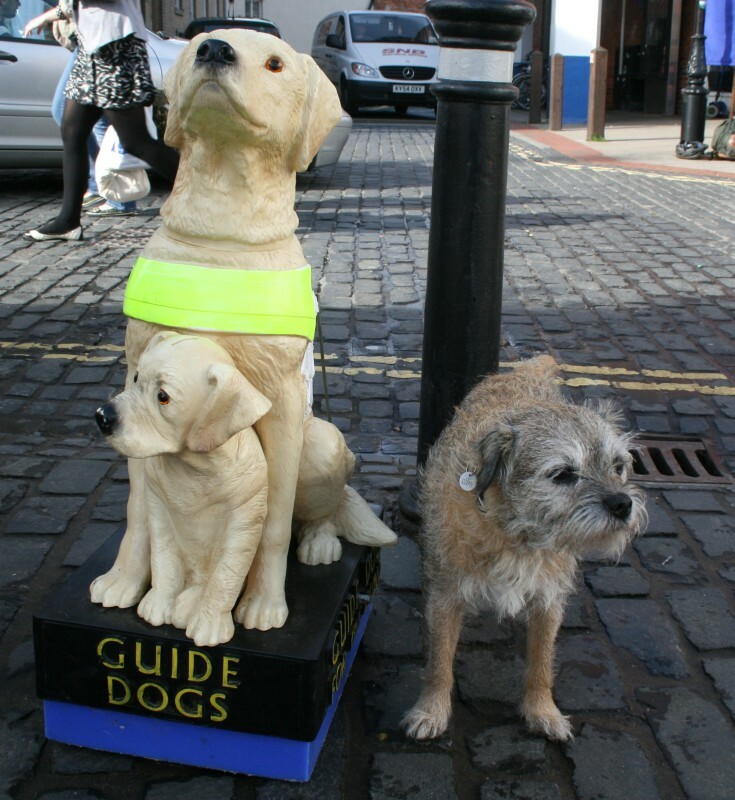 Guide Dogs for the Blind were in town today collecting for their good cause. 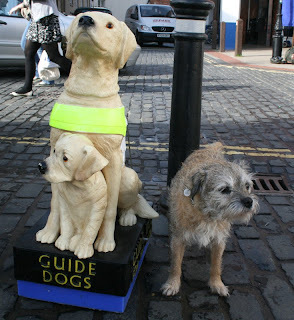 I went along to ask whether Harry could become a Guide Dog. But at age 10 they thought he was possibly too old to train. Perhaps it will help Harry to know I share his blog adventures with my Mom, who unfortunately has lost her sight, but not her sense of humor nor love of a good dog tale. Thanks Caroline. Best wishes to your mum.